The Egyptian Theatre had a wonderful event on that Sunday afternoon. It was a beautiful September day in Hollywood, and the courtyard was filled with people who were standing in line, waiting for ice cream sodas. As the soda jerk whipped up the colorful sodas, the patrons listened to the music of a ukulele player, who sang and whistled to his own music. After an enjoyable hour and a half in the shaded, Egyptian style courtyard, the eager patrons filed into the theatre and sat in the beautiful blue seats of the ornate movie palace. Beneath the sunburst ceiling, they listened to an interesting talk by the soda jerk, who explained what it was like to jerk sodas. After his talk, the theatre got darker, and the silver screen lit up with action. 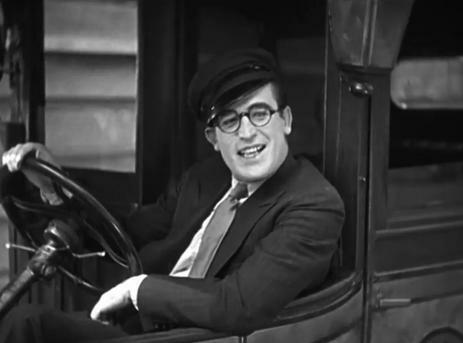 Speedy, a hilarious silent film with Harold Lloyd from 1928, was playing in all its comedic glory. The audience thoroughly enjoyed this entertaining, amusing silent film. Wouldn't you like to have been there? Although it is hard to believe, this charming, magical event took place only last Sunday, and my family was there! This was an Art Deco Society of Los Angeles event. We joined the Art Deco Society in August before going to the Art Deco Festival on the Queen Mary in Long Beach to celebrate my birthday. That was such a wonderful event, filled with dancing, music, and vintage charm, that we wanted to go to another event right away. When we heard about the ice cream social and silent film at the Egyptian Theatre, we knew we had to go to it. C. K. Farnsworth was the soda jerk and lecturer at this event. He served his sweet creations from an authentic ice cream cart, wearing a classic white soda jerker's outfit. From his talk, we learned that the likeable youths behind soda counters were called soda jerks or jerkers because of the jerking motion they used to get the proper stream of soda water out of the faucets. Thus, they jerked soda. Also, the soda fountain was linked to drug stores because soda water was originally considered a healthful drink which was good for the stomach. Flavoring was later added for enjoyment and to mask the horrible flavors of liquid medicine. Eventually, flavored soda water started being enjoyed as a pleasant beverage, especially during Prohibition, since ice cream sodas were a swell, wholesome alternative to liquor. Finally, he mentioned an interesting assortment of clever, amusing terms that soda jerks used for things which were ordered. Now I know that a fellow who orders two cackleberries sunny side up with mud on the side wants two eggs with the yolks showing and a cup of coffee! Try using some soda jerk slang the next time you go to a restaurant. I pity the poor waiter who encounters such colorful ordering terminology! I found Speedy to be an utterly delightful film. As I write this, I want to watch it again. I am listening to the background music, which, I am sorry to say, was written in the 1990s. That aside, it is very compelling and quite historically accurate music. The film was beautifully clear but not too much so, if you know what I mean. It was in beautiful condition, but it still looked old, as an old film should. This is only the second silent film I have seen in its entirety, the first being The Kiss from 1929. 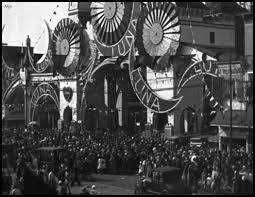 I have seen parts of a few other silent films, but one must really watch a film from start to finish to appreciate it. I think that anyone could enjoy Speedy. 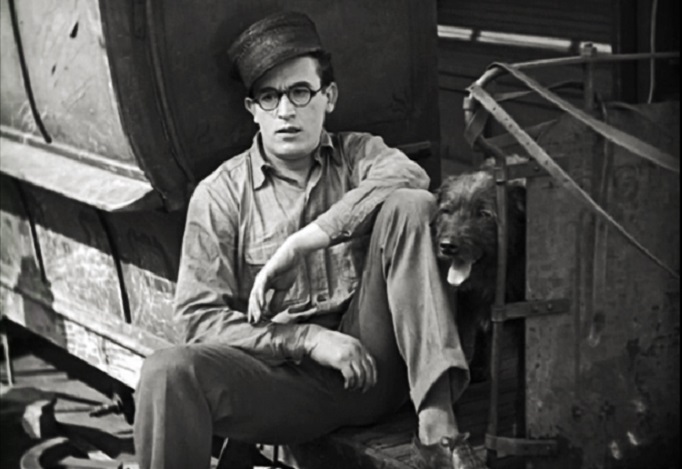 Harold Lloyd is hilarious but endearing as Speedy Swift, a lovable but irresponsible young man from New York City. He can't keep a job, but he can keep the heart of Jane Dillon, his sweet girl who is played by the pretty Ann Christy. The audience can't help loving Speedy as he jumps from one job to another, since he is an honest, silly schnook who is rather clumsy and unlucky but is just trying to make a decent living. He starts as a baseball-loving soda jerk. This film, as well as College with Buster Keaton, inspired Mr. Farnsworth to become a soda jerk, so he wanted to share it with the audience. Speedy may not jerk sodas long, but he does his job with flair and pizzazz while it lasts. After he loses that position, he drives a taxi cab with hilarious mishaps around every corner. The main problem in the plot is the fact that a heartless railroad conglomerate is trying to buy Jane's grandfather's horse car tracks. Speedy takes on his beloved's relative's problem as if it were his own. He encourages Pop to hold out for more money, and he ends up driving the street car to keep it in Pop's possession. This leads to the climax of the film, but I won't spoil it for you. I hope you will watch it yourself, since it is readily available. One of my favorite parts of the film was the Coney Island sequence, in which Speedy and Jane enjoy every part of the wonderful old Steeplechase Park. They go in the fun house, go on all the rides, eat the food, win prizes, and engage in various mishaps. They really seem to be having a good time. Modern people would probably be afraid that these amusements could be dangerous, but people knew how to have fun in the good old days. There is plenty of action in this picture, lots of humor, tender romance, and even sentiment. This is the first picture I have seen with Harold Lloyd, and I like him. From the pictures I saw of him beforehand, I didn't think much of his looks, but I found him to be much better looking on film than in photographs. He's doesn't have the most classically handsome features, but still shots really don't do him justice. In this movie, I found him to be quite attractive; Speedy Swift is rather cute in his glasses and the numerous uniforms of his different callings. The direction and photography in this film are amazing. We were astounded by the fact that a large portion had to have been filmed in busy New York City. There was a lot of intelligence and talent behind the production of this picture. I highly recommend this picture to anyone, even people who haven't seen many silent films. I think that almost everybody would like this picture. It has a simple but charming plot with comedy that everyone can enjoy! 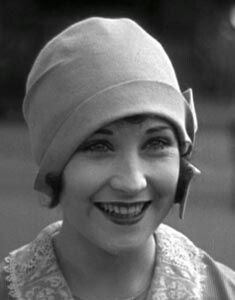 Since Speedy is from 1928, it is pre-Code in the literal sense of the term because it was made before the Code was even written. This is evident in many aspects besides its silence. There were several jokes which were inappropriate, and we found it to be really a shame. I don't mean to belittle the picture in any way because of this. I maintain the opinion that it is a brilliant, hilarious film which anyone could enjoy. However, a perfectly clean plot which is based on old-fashioned, wholesome comedy was smudged in certain places by crude humor which was entirely unnecessary to the plot and funny only to part of the audience. A question which comes to mind is, "Why does that have to be in there?" The answer comes quickly: "Because filmmakers always go astray if they don't have guidance." Unfortunately, clever, witty people have a tendency to use their brilliance for risqueity if they are not given strong moral guidance. Hollywood needed the moral guidance of the Motion Picture Production Code, which was enforced by Joseph Breen of the Production Code Administration. I hope that I am not boring my readers with my constant return to the subject of the Code, but I really believe that it was the key to the brilliance of Hollywood's Golden Era and that it is the key to Hollywood's future. Some silent films were based on risque topics or blue humor, but Speedy was not. It has all the characteristics of a family film. Why should that be spoiled by a few base, embarrassing jokes? This brings us to the topic of breening. This would be a superb film to breen. There are no problems with the plot, no troublesome characters, and no improper title cards. The only problems were some inconsequential visual elements, plus one dirty word which I am almost sure I read on Harold Lloyd's lips. Speedy would be the perfect topic for a silent film to breen in the Great Breening Blogathon, which is in mid-October. Here is my suggestion to silent film enthusiasts: claim this topic before someone else does! 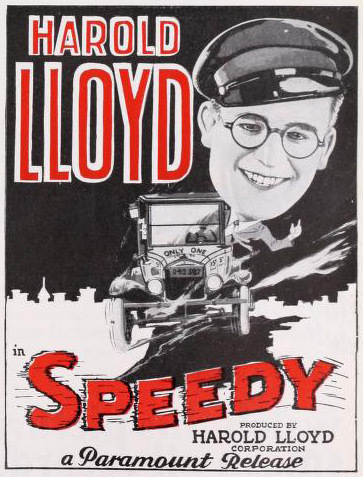 Someone else could compare Speedy and perhaps some of Harold Lloyd's other pre-Code films with his Code work, showing, of course, the improvements which were made because of the Code. Remember that you don't have to necessarily agree with the Code and Mr. Breen at this moment to participate in the blogathon. Perhaps the Breenathon will make you reconsider self-regulation! If breening seems complicated or difficult to you, don't worry. I am going to publish an article describing how to breen on Thursday. Step right up and join the "Great Breening Blogathon!" We will definitely attend future Art Deco Society events and other screenings of classic films. 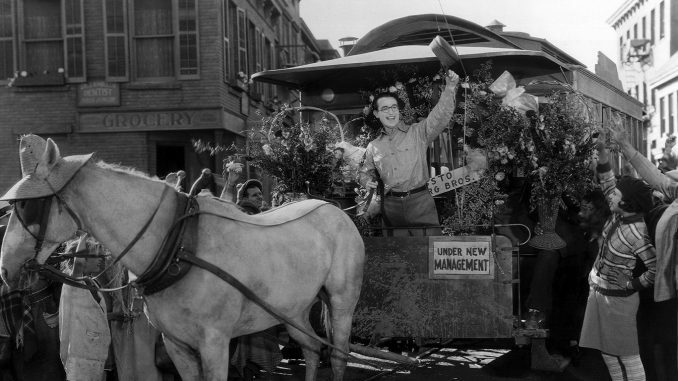 Speedy made me want to see more silent films and more Harold Lloyd pictures. 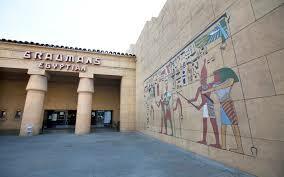 Also, I really enjoyed the experience at the Egyptian Theatre. If you live in the Los Angeles area or ever visit Southern California, be sure to stop by Grauman's lesser known theatre if an old movie is playing. 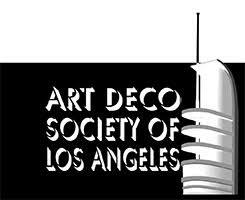 Also, I highly recommend joining the Art Deco Society of Los Angeles or an art deco society in your area if you admire vintage clothing, architecture, and society. It is a great place to meet other people who love bygone days and the food, music, dancing, and beautiful clothes that went with them. I hope to see you all at the Breenathon in October! Your blog and blogathons sound very enjoyable. I understand that you are no longer using it. If you should decide that you want to participate, you could write an article and send it to me in an email; I would then post it on my website. William Ferry is participating that way. This, of course, is just a suggestion in case you want to participate. Thank you for your good wishes. I appreciate your friendliness. It is so nice to know that you like Code films. I have heard about the Egyptian Theatre in Boise, and it sounds like a wonderful, fascinating theatre. I am so glad that people all over America can enjoy classic movies in old theatres. I would be honored if you joined the Great Breening Blogathon. We could really use your talent in it!